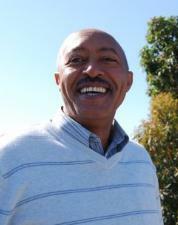 Mulugeta Gebru is the Executive Director of JeCCDO, an Ethiopian national NGO operating in the country since 1985. Under his leadership JeCCDO has become the leading indigenous NGO in Ethiopia, focusing on community-based orphan and vulnerable children support. Mulugeta is also chairperson of CCRDA, Ethiopia's largest umbrella organisations for NGOs and civil society, and has frequently represented civil society in dialogues with the Ethiopian government. Currently JeCCDO works closely with 142 community organisations in five regions of the country. Its integrated community-based child-focused work includes running programmes as diverse as direct orphan support, child educational support, adult functional literacy, urban agriculture, health and sanitation, income generation, women's empowerment, youth skills training, community managed disaster risk reduction, climate change adaptation and capacity building community organisations. JeCCDO is also a leader in social accountability, a process by which ordinary citizens – who are the users of basic public services – voice their needs and demands and create opportunities to hold policy makers and service providers accountable for their performance. The process aims to improve the quality of and access to public basic services. The Global Challenges Forum and the Centre for Global Equality are exploring the possibility of establishing a long term relationship with JECCDO, which is supported by the UK NGO Partners for Change Ethiopia (a member organisation of the Centre for Global Equality). JeCCDO has excellent relations with many Ethiopian universities and is uniquely placed in the Ethiopian civil society landscape through its excellent, principled relations with government at evey level enabling cross sectoral partnership to deliver innovative, sustainable solutions to poverty. Please contact us if you would be interested in meeting Mulugeta Gebru, who is interested in outlining some of the primary challenges faced by JeCCDO in its efforts to promote integrated community based development programs focusing on children and other vulnerable segments of the community. While JeCCDO works throughout Ethiopia, and across all sectors, focus will be given to the opportunity to establish a Research Facility in Bahir Dar, the country’s third largest city on the shores of UNESCO Lake Tana Biosphere Reserve, the source of the Blue Nile. Such a facility could provide a base and good community access for research in community development, infrastructure, water, energy, agriculture, health, education and technology. 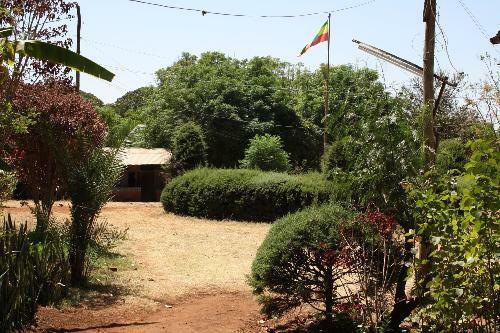 The recently designated UNESCO Lake Tana Biosphere Reserve provides opportunities for research in conservation and cultural heritage, and the academics at the University of Bahir Dar are interested in forming research partnerships with Cambridge.